Fernbank Museum always goes above and beyond when it comes to bring new and exciting exhibits to our city. The inner workings of the most complex and fascinating structure –the human brain—can now be discovered at a special exhibition this summer at Fernbank Museum of Natural History. On view from June 6 through August 23, Brain: The Inside Story offers a new perspective and keen insight into the mind through imaginative art, vivid brain-scan imaging, brain teaser games and dynamic interactive exhibits for all ages. Drawing from 21st century research and technology, Brain: The Inside Story brings visitors up to date on the latest neuroscience, highlighting the brain’s surprising ability to rewire itself in response to experience, disability or trauma. It also showcases new technologies researchers use to study the brain and conditions such as Alzheimer’s disease and Parkinson’s disease. With a multitude of diverse topics to explore, the exhibition is divided into seven sections: Introduction, Introductory Theater, Your Sensing Brain, Your Emotional Brain, Your Thinking Brain, Your Changing Brain and Your 21st Century Brain. 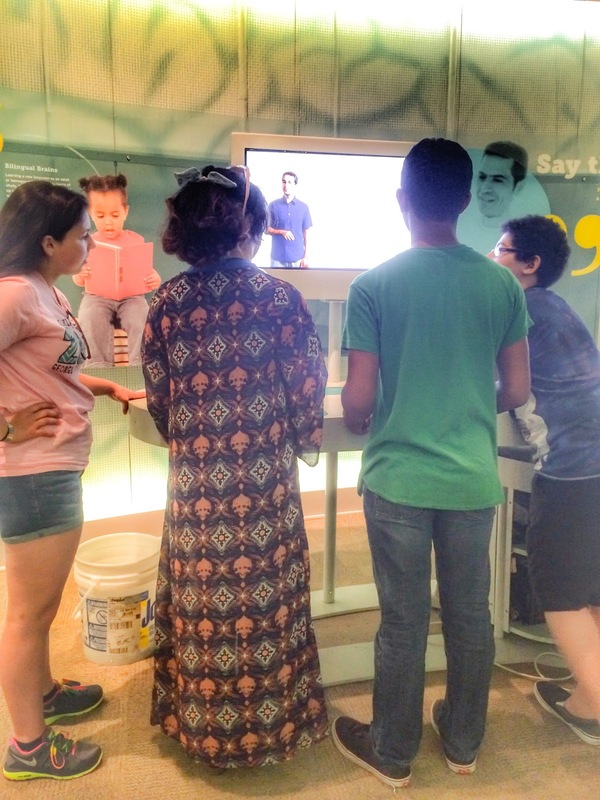 “We’re thrilled to have Brain: The Inside Story at Fernbank this summer. The exhibition provides a wealth of information about the body’s most complex organ, while at the same time it’s fun and features hands-on activities that visitors of all ages will find fascinating,” said Bobbi Hohmann, Vice President of Education, Collections and Research. 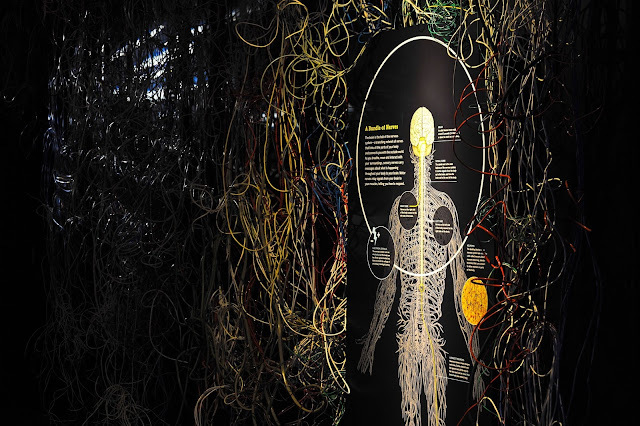 The journey through the mind begins as visitors walk past a three-pound preserved brain—a modest, small white mass—then step into the exhibition through an exhilarating tunnel of firing neurons. The tunnel projects lines of light onto hanging wires to represent brain connectivity and highlight its electrical impulses. After immersing visitors in the electric firings of the human brain, the sensational exhibition unfolds with a stunning array of visuals bringing the brain’s myriad functions into view: a dramatic six-foot tall homunculus, a human figure with larger-than-life proportions that highlight how much of the brain is devoted to the sense of touch in different parts of the body; a multimedia video encounter with a model brain that lights up brain regions used by a student dancer auditioning for Julliard; an engaging neuron gesture table showing how brain cells connect and communicate with each other; a glowing eight-foot-tall model of the subcortical brain that illustrates how the mind processes language, memory and decision making; and a deep-brain stimulation implant, the first of its kind on display in a museum. Other intriguing features within the exhibition include the brain lounge, artistic interpretations of the brain created by visual artists, and many exciting games and interactive activities. In the brain lounge, guests can watch a brain scan of a New York Knicks shooting guard reacting to the swoosh of the net and the roar of a crowd during a game. To enhance and deepen the understanding of the brain and its functions, visitors may also partake in build-a-brain puzzles and brain-exercising games. Engaging at every corner, Brain: The Inside Story promises an enlightening experience and great adventure into the depths of the mind and human intellect. The exhibition will be on view from June 6 – August 23 at Fernbank Museum of Natural History. The exhibition will be accompanied by several programming opportunities. Brain: The Inside Story Opening Day Celebration on June 6 will feature the first opportunity to explore the new exhibition along with special opportunities to enjoy games, activities, real brain specimens, Brain Labs hosted by The Neuroscience Institute, roaming mascots and giveaways. 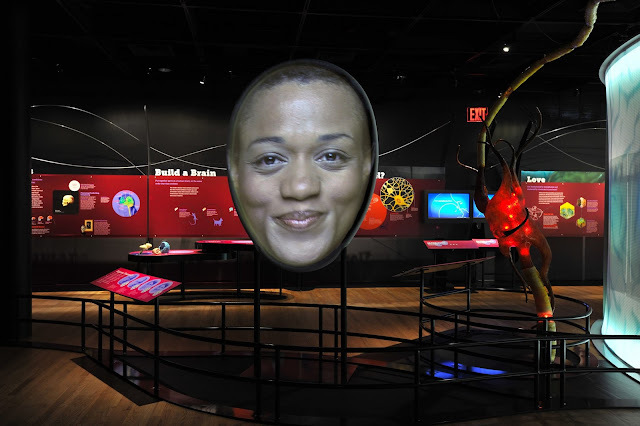 Fernbank hosts a lecture inspired by Brain: The Inside Story on June 7 at 3:30 p.m. Presented by Dr. Raul G. Nogueira and Dr. Gustavo Pradilla of the Marcus Stroke & Neuroscience Center at Grady Hospital, Not All Strokes Are Created Equal: Innovative and Lifesaving Treatments explores cutting-edge advances that can prevent strokes, reduce their impact and save lives. Fernbank will offer extended hours of Brain: The Inside Story during Martinis & IMAX® on Friday nights in June with a special Martinis & IMAX ticket. On select weekends, Brain Labs will offer an opportunity to investigate real brains along with other activities led by researchers from the Neuroscience Institute at Georgia State University. As part of the summer series, Summer Fun at Fernbank, the museum will host a Brain Freeze Friday on June 26, offering free frozen popsicles from Pop Stars. Brain: The Inside Story is supported locally in part by The Marcus Foundation, Inc., the Principal Investor for this exhibition. Additional funding is provided by the General Motors Foundation in support of STEM learning and Children’s Healthcare of Atlanta. 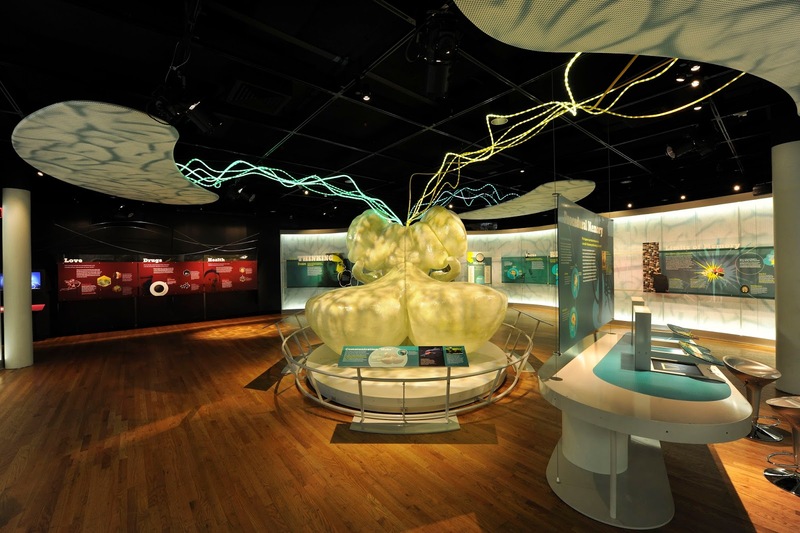 Brain: The Inside Story is organized by the American Museum of Natural History, New York, in collaboration with Codice. Idee per la cultura, Torino, Italy in association with Comune di Milano – Assessorato Cultura, Italy; Guandong Science Center, Guangzhou, China; and Parque de las Ciencias, Granada, Spain. Fernbank Museum of Natural History is located at 767 Clifton Road NE in Atlanta. The Museum is open Monday – Saturday, 10 a.m.–5 p.m. and Sunday 12 p.m. to 5 p.m. Brain: The Inside Story is included with Museum admission. Tickets are $18 for adults, $17 for seniors, $16 for children ages 3-12, and free for Fernbank members. Tickets and visitor information are available at www.fernbankmuseum.org or 404.929.6300 (info) / 404.929.6400 (tickets).